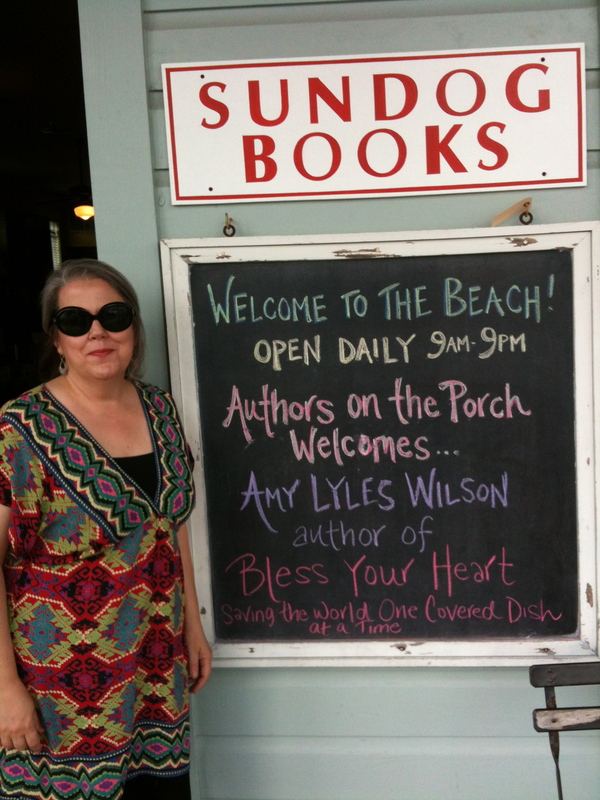 On Being Southern in Seaside – Amy Lyles Wilson, M.A., M.T.S. I’m just back from a fabulous trip to Seaside, Florida, where I had the pleasure of hanging out with authors John T. Edge and Shellie Rushing Tomlinson. You might know Edge for his in-depth work on the sociological and historical aspects of food, and Tomlinson for her high-larious take on being a southern belle. If you don’t know these two writers, please check them out. The weekend, sponsored by Escape2Create, was entitled “Voices of the South,” and it was all about the food, culture, and ethos of being Southern. I facilitated an Amherst Writers and Artists workshop around the topic of food, where I wrote with some amazing women. On a rainy Saturday morning, we gathered around a farmhouse table in a stunning home that reminded me of Martha’s Vineyard. We spoke of the challenges, and payoffs, of living a writing life, whatever that might look like for our individual lives. Some of us are called to write for the public, others for our families. Some craft in rhyme, others in long form essay. But I dare say the end result is the same: “It’s the sharing of our stories that saves us.” Repeat after me. You don’t need Cape Cod when you’ve got the beaches of 30A, and celebrating the South in Seaside was a treat indeed. With its engaging architecture, good food, fun shops, breathtaking atmosphere–and delightfully friendly and helpful residents–it was hard to leave. Thank you, fine people of Seaside, for making my first trip to your oasis so memorable. It had been a goal of mine to sign at Sundog Books, and look at me, I made it. Thank you, Linda and Bob White, for a dream come true. I encourage all artistic types to check out the residences and other programs offered by Escape2Create. It will do your work, and your soul, good. ‹ PreviousNashville February 2012 Women’s Writing Circles! Amy, thank you so much for being a part of the unique experience, “Voices of the South.” We truly enjoyed having you as a guest writer and hope you will be back to visit often. We also appreciate you encouraging artists to learn more about our residency for artist. An honor and a delight! It was indeed, Les. I hope to be invited back one day!